Cindy is a God based intuitive, who believes in Jesus one of the many things she enjoys is "When someone asks me what I do I say many things but what is important to me is my relationship with myself and God." "I am out of my head as I align my energy, thoughts, feelings with my heart towards joy." Cindy comes from a corporate background. In 2001 Cindy founded a nonprofit for mind, body and Spirit called Trinity Productions. Cindy won many awards for her performance in the corporate sector with her keen business sense and love of working with people but finally realized her most important asset to have on her resume is her relationship with herself, God and Jesus. Cindy ventured out with public tv and radio shows and short films. She continues to do that as the opportunities present them self. Cindy feels "if we miss out on not knowing our self and God she feels we miss our true power." Founder of Trinity a nonprofit center for mind, body and Spirit (2001 to present) along with working with many facilitator's or attending their program. My writing pertains to God based spiritual application, empowerment tools, poems, prayers, humor, even lyrics. To buy Cindy's inner workbook journal "Is That All There Is...The Journey Within", click here to buy now. To read her poems click here. If you would like free monthly inspirational writings called Spirit Bits click here. Note: Lyrics for music (if you are seeking lyrics for your song please contact me). If you have something you would like to share I would love to hear form you. Cindy conceptualized, produced and hosted “The Human Odyssey,” a public TV talk show where she discussed metaphysical subjects with local practitioners. Court TV's Psychic Detective show at the Time-Warner Building located in N.Y.C. You can watch Cindy's inspirational shows onyoutube channel. Here is the radio show tab to hear Cindy on the radio. Cindy is the founder of a interfaith nonprofit learning metaphysical and holistic organization and teaches there as well. Teacher at adult ed classes both in CT and NY: Foothills, Southbury, Terryville (Fairfield County) Danbury, Trumbull, Westport, (Litchfield County) Litchfield, Falls Village, Torrington and Brewster, NY. Group sessions can be scheduled in your area. Cindy is available to speak in your area. 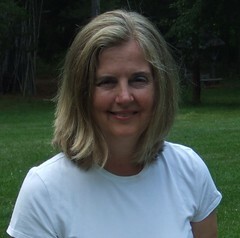 Cindy M. Miller, Powered by Joomla!